This 60s Fringed Hippie Waistcoat has great detailing with embroidered hem, peace symbols on each side and fringing for a groovy look. This 60s Hippie Waistcoat is a great addition to any 60s Costume - or great simply paired up with a pair of jeans for an instant look. 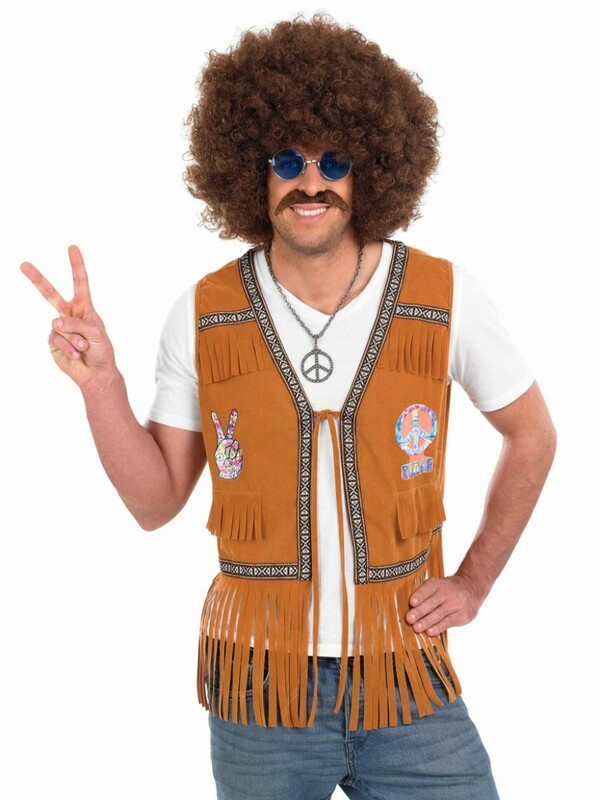 The suede effect Waistcoat has an embroidered hem, a pair of peace symbols on the front and lots of groovy fringe detailing for a classic look 60s Hippie Waistcoat. Ideal for decades or any 60s fancy dress occasion.